With my hectic schedule, nowadays I look forward to weekends just for some time to breathe. During weekdays, I leave home at 8 o'clock in the morning and get back home only by 10 - 10:30 in the night. Weekends, involves more office work and not to mention some more blog work. It's been literally two months since I took a break and relaxed. Last weekend, I decided to take some time out for me even though I still haven't finished all the work in my checklist. It is extremely important to take some time off and just relax. So instead of getting all dressed up, I decided to put on a simple maxi dress and spent some time enjoying a quite Sunday brunch. 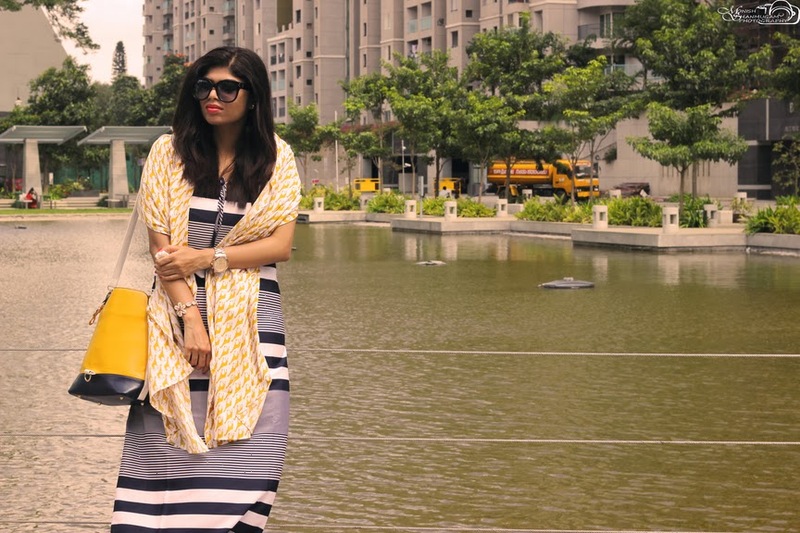 I paired the Maxi dress with a giraffe print scarf to add dimension to the outfit (Yeah! Old habits die hard, I just love mixing prints). Kept accessories to minimum with my heart anklet and beaded bracelet. Added a bit of color with red nail paint, mustard sling bag and orange lipstick. Completed the look with white sandals. 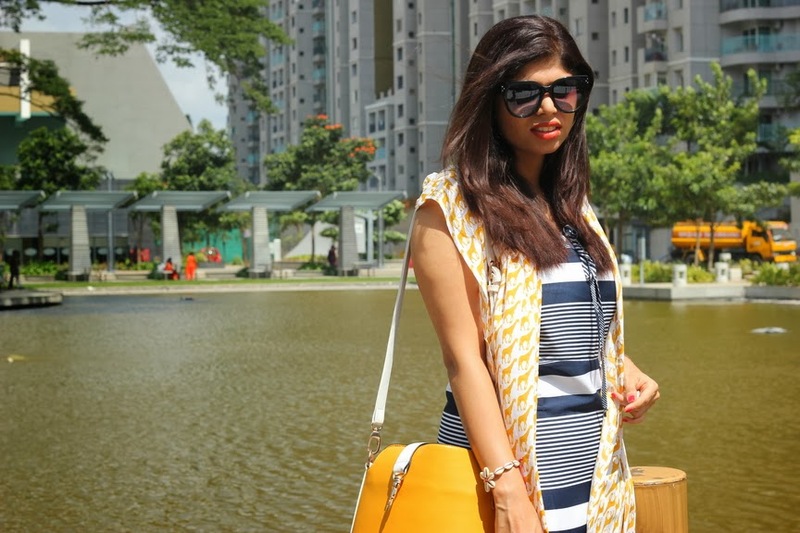 Simple and stylish outfit to relax and soak in some sun! What do you think of the styling? How you would style a maxi dress? Please do share your outfit ideas.